Beware – Fulbrighters (from) everywhere! Nearly three dozen students, post-docs and faculty from around the world have converged on FIU this year to study, teach and research under the prestigious Fulbright Program. An international educational exchange program sponsored by the U.S. government, the program seeks to increase mutual understanding between people of the United States and people of other countries. To welcome these visitors, the Office of International Student & Scholar Services organized a reunion of Fulbright visitors in the international student lounge. Among other activities, attendees reviewed some of the cultural traits they were likely to encounter in the United States and, specifically, Miami, and planned events and trips. Despite the wide-ranging diversity in the room, the Fulbright program vision of “people-to-people diplomacy” created an instant bond among group members. Brazilian Gabriel Dangio’s comment, “No, I don’t play soccer,” generated laughter from group members who could relate to his experience. Dangio is spending a year at FIU as a Fulbright foreign language teaching assistant in the Department of Modern Languages, teaching Portuguese and engaging with the university community. Want to learn more about Fulbright opportunities to study, research or teach in more than 160 countries? Get inspired by two FIU students who are abroad as 2018-2019 Fulbright Fellows to India and Panama. 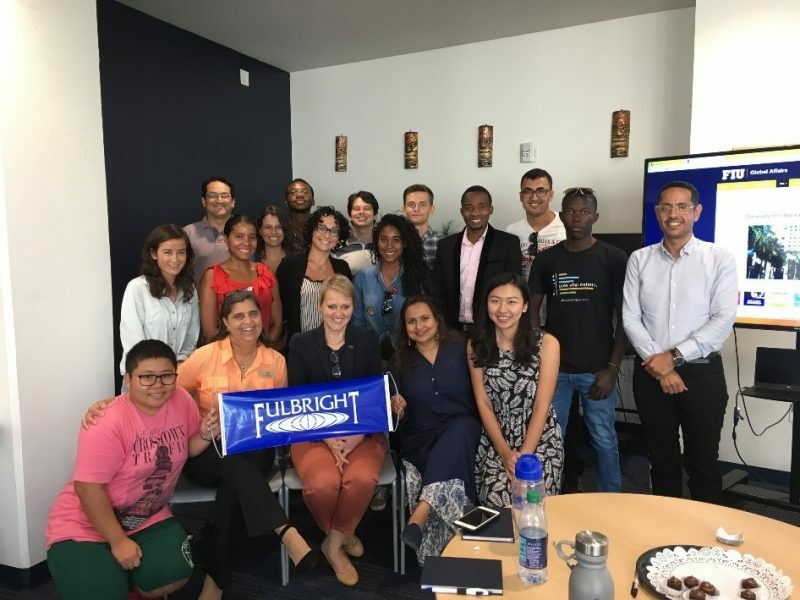 Interested students should visit the Fulbright U.S. Student Program website, or they may contact the FIU Fulbright U.S. Student Program Campus Liaison Susy Gomez, associate director, Office of Study Abroad, at sugomez@fiu.edu. 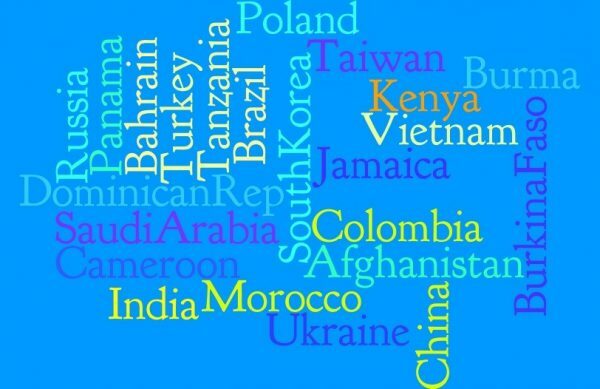 Faculty and professional staff can find much information on the website of the Fulbright Scholar Program, or may contact the Fulbright Scholar Program Campus Liaison Birgitta “Gitta” Rausch-Montoto, director, Office of Faculty & Global Affairs at gmontoto@fiu.edu.